Mallory and Connor Duncan are nearing their first year anniversary - and it may be their only one if Connor goes through with his intentions to separate. He carries a 50/50 chance of developing the condition that took his brother's life and has crippled his father. Although he let himself fall in love, Connor realizes now he doesn't want Mallory to face the trials of a caretaker. He's seen the toll it has taken on his mother. While Mallory keeps busy working with at-risk youth, she can't figure out how to save her at-risk marriage. She's willing to do whatever it takes to prove to Connor that she wants to stay with him. When "whatever it takes" turns out to be a 3-week road trip in a micro camper, with the whole thing being filmed for Connor's business... well, that's a lot. Especially when his business associate's 11-year-old nephew has to come along for the ride. Can they pretend for the camera and survive in close quarters for so long? As Connor, Mallory, and Judah travel the back roads of America, the experiences they share and the people they meet will challenge their perceptions of life. This trip will definitely change things, for better or worse. This was a bit of a tough read. I got a little frustrated with layers of Connor and Mallory's conversation, constantly talking about the separation even when they weren't talking about it. The plot also seemed contrived in parts. There were lots of things I did enjoy, and there were twists that I did not see coming, it just was slow going at times. Cynthia Ruchti is a special storyteller who will always catch my attention! Katie is in love with Micah, but when he unexpectedly and very publicly proposes marriage to her when she's just met his extended family, she has no choice but to say no. And it's Christmas week at his grandparents' rural Minnesota homestead, so it's not like she can just catch the next flight home to Florida. There's no way she can accept Micah's proposal until she can talk through the reasons she said no, but privacy is hard to come by with Micah's parents, grandparents, aunts, uncles, and cousins filling every nook and cranny of the cottage. In disbelief that the Binder family is still being so amazing and welcoming to her even though she may have broken Micah's heart, Katie tries her best to walk the tightrope of forming relationships while not letting herself get too close. It's hard, though. The Binders are so full of love and commitment and making the most of every moment - if she believed she could make a marriage last, this would definitely be the family she'd want to marry into. As Christmas draws closer, there are surprises of both the happy and not-so-happy variety headed to the Binder farm. For this family who tries to celebrate each holiday as if it might be the last, what if it really is the last for one of their members? Sentiment threatens to become reality and leaves everyone scrambling. This novella captured me from the opening page. Anyone who has a large extended family will enjoy the scenes of a packed home and family togetherness -- including waiting in line for the bathroom and sleeping anywhere you can find space to fit an air mattress. Those are all-too-familiar sights for some of us! Katie's emotional dilemma kept me reading more to find out when she and Micah would talk and if they could work things out. Through the ups and downs of this unforgettable holiday, love will see this family through - the same endless Love that will always be there for each one of us. 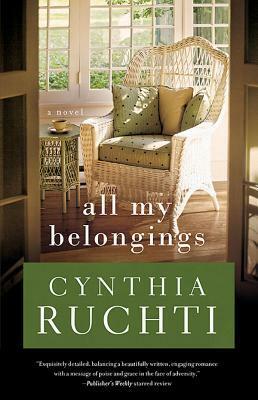 Cynthia Ruchti weaves a sweet tale about family, faith, and finding yourself. Christmas can't be relaxing when you're trying to ratchet your career up to the next level. Interior designer Alexis Blake is competing for her own show on the Home Project Network, and the last step is a Christmas-themed home renovation. If she can beat out the other two finalists she'll achieve her dream. She knows things won't be easy, but she arrives on location near Door County, Wisconsin, to find that the homeowner doesn't want to cooperate and her videographer has sustained an injury that will sideline him from the project. This is not a promising start. Elsie has lived many years in the fieldstone home which her father built. She's not happy that her neighbor submitted her house for the Restoring Christmas project, and she's very set on having her say in making sure Alexis doesn't change too much. She's also prone to taking mysterious trips and will shut down any conversation that broaches the subject of family. She begins to regret her begrudging consent to allow Alexis and the crew into her personal space. While respected videographer George Langley can't be a part of the special, he insists his son Gabe is more than capable of stepping in. Alexis isn't convinced, but Gabe is larger than life with his optimism and generosity. As he sweeps away her objections and finds unusual solutions to plaguing problems, Alexis agrees to let him in on the project, but can't help wondering what's behind all the charm and personality. While Elsie's house is under construction, so are the hearts of all those working on it. Gabe is dealing with his first Christmas since his mother's death. Alexis feels the stress and pressure of meeting deadlines and having everything turn out the picture-perfect way she's envisioned it - while meeting resistance from Elsie at every turn. Elsie's shrouded past and sensitivity to change keeps everyone guessing and on edge as to what she'll object to next. 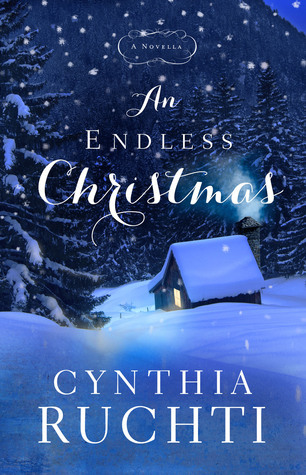 In a story about the true meaning of Christmas and learning to listen to one another, Cynthia Ruchti has crafted a heartwarming novella that will leave you sighing with contentment. I'd highly recommend this for all readers, and especially if you enjoy shows like Fixer Upper. This story introduced me to the song Still, Still, Still, which I have a feeling will be a regular feature on my holiday playlist this year. Are you ready to have your own heart examined before we reach the height of this busy season? 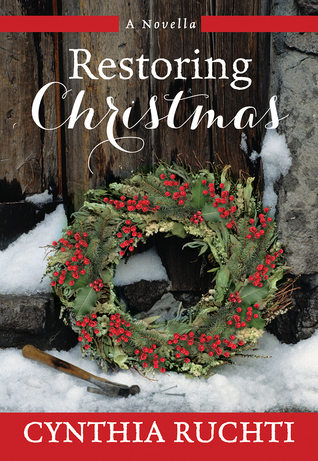 Check out "Restoring Christmas" and let the message soak into your spirit. Thank you to the author for my copy of the novella. All opinions in this review are my own. Three years ago when tragedy took the life of their 12-year-old daughter, Libby closed her heart to her husband Greg. Now she's decided that she's going to leave him when he returns from his annual trek into Quetico Provencial Park. The only problem with the plan is that Greg is a few days late returning from his wilderness journey. More than grief or worry, Libby is furious that whether by choice or by accident Greg has found a way to get out of their marriage before she did. As she goes through the motions of filing a missing person's report and talking with authorities on both sides of the border, Libby weighs various scenarios. She can't picture her faithful-to-a-fault husband deciding to drive away from their home and vanish without a trace, but the distance has grown so far between them that it's not something she can automatically discount. When Libby, her best friend, and her father-in-law decide they must go to Quetico themselves and retrace the voyageur route Greg had planned, they don't know what they will find, or if they will find anything at all. Libby doesn't know if she even wants to find Greg or what she'll say if she ever sees him again. But she knows this is a trip she has to make before she can move forward one way or another. The depth of this book left me at a loss for words. 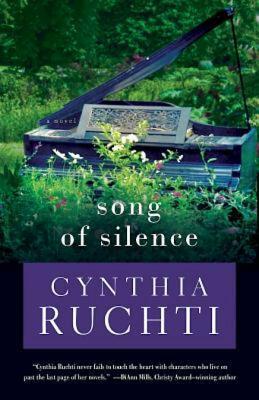 Cynthia Ruchti writes with beautiful and lyrical maturity as she delves into loss, uncertainty, and pain in the human soul. 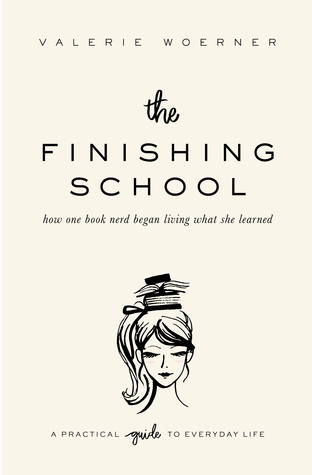 I had no idea how this book would end, but the more I read the more I could not put it down. Thoroughly captivated, thoroughly touched. Cynthia is a can't-miss author in my estimation, with both her fiction and non-fiction. Highly recommended. Lucy Tuttle has proudly carried on her father's legacy as a music teacher, finding every ounce of fulfillment from living out her passion. When her school decides that music education will go the way of the RIF (Reduction In Force), Lucy is devastated to be shuffled ingloriously off to early retirement. It doesn't help that her husband has suddenly decided that his passion is starting an earthworm farm - in their basement! While struggling with depression from the loss of her job, Lucy's adult children shake things up by requesting to move back home. 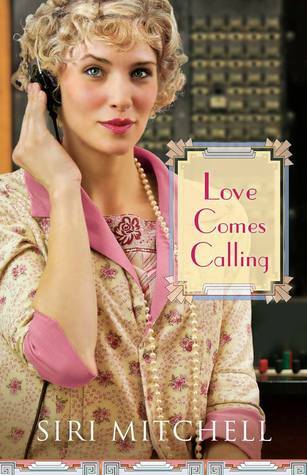 Lucy sees a counselor to help with the many ongoing adjustments, and gets connected with a book club that turns out to be a unique group of life-affirming women who are just what Lucy needs. For most of this story I found myself thinking that this was not a book really suited for where I am in my life. Different stories resonate louder with some people or during some seasons of life than others, and there's nothing wrong with that. I couldn't relate very well to Lucy just because I hadn't experienced a lot of the things that were bothering her, and I felt like our personalities were very different so I didn't always understand the choices she made. 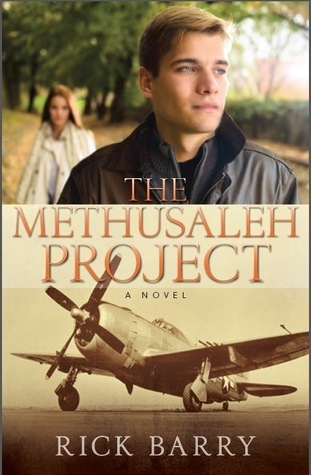 The story is well-written and I did find myself taking note of several quotes, such as when Lucy's deaf daughter-in-law tells her, "When God gives us no other option, He also gives exceptional grace." Cynthia Ruchti is known as a writer of hope, and while I might not have completely related to Lucy, I felt the tug of that hope because hope is universal. Lucy finds she is never safe from challenges and adjustments, and when an accident forces her into a time of personal silence she learns much about the passion of her soul. I thought the last portion of this book really shone as Lucy goes through a time of reflection and growth. Cynthia Ruchti is one of those writers whose works I never want to miss. 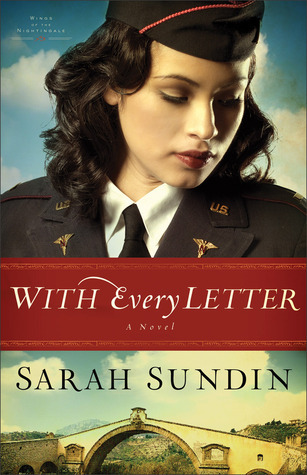 There's a richness to what she writes, a depth that calls out to the deeper parts in the reader. 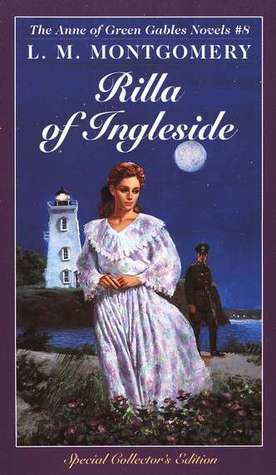 This title might not have connected quite as well with me, but I'd still recommend both her fiction and non-fiction any day. I received my copy of the book from LitFuse Publicity in exchange for this honest review. All opinions are my own. If you would like to read what other people are saying about "Song of Silence," click here. As the music fades and a chasm separates her from the passion of her heart, will Lucy's faith song go silent, too? Find out in Cynthia Ruchti's new book, Song of Silence. The musical score of her life seems to be missing all the notes. When a simple misstep threatens to silence Lucy forever, a young boy and his soundless mother change the way she sees—and hears—everything. Enter today by clicking the icon below. But hurry! The giveaway ends on May 9th. The winners will be announced May 10th on Cynthia's blog. 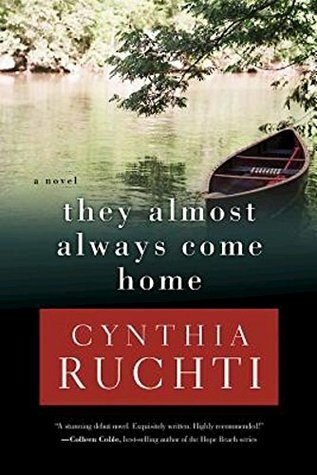 Cynthia Ruchti is quickly becoming a favorite author, as she has a special gift for reaching into hearts and leaving behind tendrils of hope. 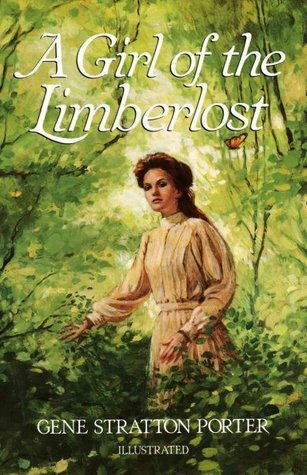 Her books have the unique ability to instill in the spirit a desire to connect with God and what He is doing - especially if what He is doing is not what we want or expect and instead seems dark and strange. In those times it would be easy to sink into despair, but Cynthia steps in and offers this thought in Chapter 1: "People are tattered. Some say, 'Then let's make tattered fashionable.' But God invites us to mend." To help us grasp how God desires to mend our tattered souls, Cynthia illustrated how master craftsmen restore things like tapestries, quilts, art, stained glass, jewelry, etc. She tells about the expert knowledge each artisan must have, and the painstaking care that goes into each project. Who has more expert knowledge of souls and spirits than their Creator? And His care for His children far surpasses the most delicate mending techniques the world has known. Seeing God work beauty from our worst moments doesn't mean they are no longer part of our lives. "Have you ever assumed, like I have, that the only legitimate healing is complete healing? The only soul-mending that counts is eliminating the pain, fully restoring what was lost, reclaiming everything we once had? What if sometimes, rarely but sometimes, the outline of the hurt tells the story more effectively than if it were erased? Undetectable? No evidence we were ever wounded? What if?" (Chapter 5) We aren't in charge of our healing. We can cooperate with God and let Him work His artistry on our worn places, knowing that what He chooses for the repair still might not be what we would choose. But His faithfulness and His ability to weave beauty is not limited by human scope. This book ministered to me in a very personal way. I had grown weary and tired of my life's struggles - the tears in the fabric, the frayed edges that I can do nothing about. To be reminded of all the ways God is working and using these things in my life brought an incredible strength. I believe anyone who is going through a time of feeling worn and wondering if God could possibly be working good through their present circumstances would benefit greatly from this book. Be sure to put on some good worship music, surround yourself with loving community, and remember that our Father has a multitude of ways He is working to, as the chapter titles in this book put it, rescue, reconstruct, recycle, restore, reclaim, repair, recover, redeem, refurbish, and regenerate you and your tattered soul. I received my copy of the book from LitFuse Publicity in exchange for this honest review. All opinions are my own. 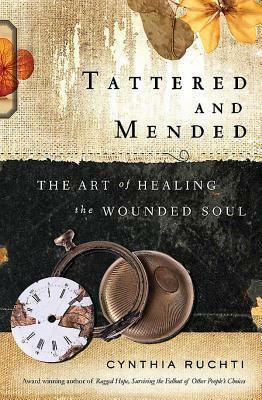 If you would like to read what other people are saying about "Tattered and Mended," click here. How can the wounds that keep us from living the life we want to live be mended and healed? In Tattered and Mended, Cynthia Ruchti walks readers through a gallery of reclaimed and restored art as well as broken and restored lives of those who have gone before us. With a gentle touch and personable wisdom, Cynthia shows how even the most threadbare soul can once again find healing and hope. Celebrate the release of Tattered and Mended with Cynthia by entering to win her Reclaimed Treasures giveaway! Enter today by clicking the icon below. But hurry, the giveaway ends on July 27th. The winner will be announced July 28th on Cynthia's blog. Plus, now through mid-July, sign up for Cynthia's mailing list for a five-day virtual tour around Madeline Island for the chance to win a Hemmed in Hope prize pack. Each day begins with an email from Cynthia that introduces where you'll be “visiting” that day (all key places from As Waters Gone By) with various interactive elements, including“I wish you were here” postcards, trivia quizzes, and an ongoing Island scavenger hunt. The person who interacts the most will win a Hemmed in Hope prize pack (valued at more than $200). Rich. 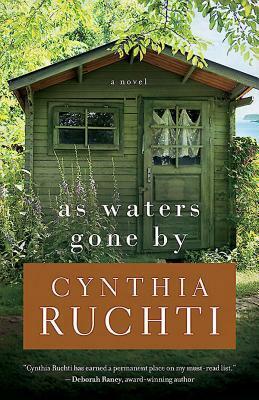 If I could only use one word to describe Cynthia Ruchti's new novel, that is what it would be. Rich like triple chocolate cake. Rich like a long soak in a hot bath. Rich like faith which has gone through the fire and come out stronger on the other side. Emmalyn's world was shattered when her husband's bad decision landed him a 5-year prison sentence, and again when he asked her not to contact him while he was serving his time. Now less than a year remains until he is released, and Emmalyn isn't sure he will still want to be married when he gets out. Knowing she can no longer live with all the broken dreams that came first with her infertility and then with Max's incarceration, Emmalyn sets off for Max's hunting cabin on remote Madeline Island, Wisconsin, hoping for a fresh start. While Emmalyn is dismayed to find the hunting cabin not in livable condition upon her arrival, she finds a temporary home at The Wild Iris Inn and Cafe. The owner is a unique and stunningly insightful individual with the name of Boozie Unfortunate, who is a great help in pointing Emmalyn towards people who can help with the restoration of the cottage. Is it too much to hope that on this small island she could also find restoration for her soul and spirit? Emmalyn's tentative journey to hope is beautifully chronicled. This is a book that draws you in and sinks into your mental pores like a soft, soaking rain. While not all of us have experienced the exact losses that Emmalyn has gone through, I think we can all relate to times in our lives when we've faced sorrows and great uncertainty. Add in unexpected delays and some of those crazy twists that life has a way of throwing in, and you have the makings of of a story that rings true to life. I won't spoil the treasures that Emmalyn finds throughout the pages of this novel, but I can share her sentiment - and mine! - from this quote on page 154: "Life could be enormously disappointing and still be good." I received my copy of this book from LitFuse Publicity in exchange for this honest review. All opinions are my own. 2014 was a great year for reading! I'm thankful to have had the ability to read so many good books this year. Now I get to present my favorites to you and hope you'll check some of them out for yourself! 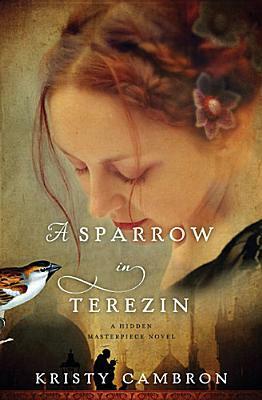 Click on any title to read my full review. In a zany series of capers, Ellis Eton tries to trade identities with one friend and save the life of another. Ellis makes an endearing heroine because she has a good heart but she's also terribly scatterbrained. This one is an amusing and charming read! This year I read more young adult books than I have since I was a young adult myself, and while a number of them were good, I am still resonating with the spiritual truths and character growth found in "The Fairest Beauty." 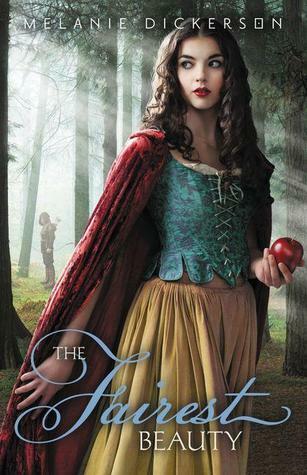 This was a lovely retelling of the classic Snow White fairytale. 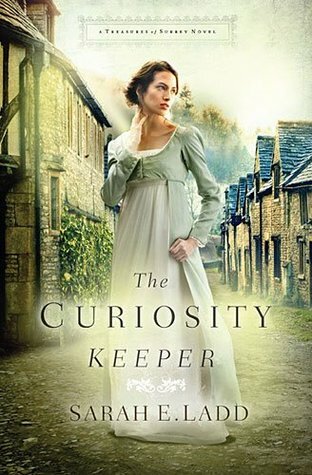 Museum worker Kallie Andreas suffers from amnesia, and she is given the opportunity of a lifetime when she's offered to lead a team in quest of finding a crucial artifact. 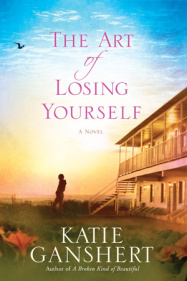 As her journey takes her to Egypt, Italy, and the Greek isle of Santorini, Kallie discovers much about herself, her past, and our amazing God. Becca Morrow is trying to get a fresh start on life by changing her name and moving half-way across the country to escape the notoriety of her father's high-profile murder trial. While she's running from her past, her new friend Isaac is seeking his in the form of searching for his biological parents. The themes and lessons in this book were beautiful and insightful, and the wonderful balance of storytelling elements makes this one you can't put down. Kara Tippetts is a pastor's wife and mother of four young children who has received a terrible diagnosis: terminal cancer. As her life on this earth fades away, Kara encourages all of us to trust God as the Author of our story, let His grace fill our lives, and love well those around us. Find the beauty in the heartbreak. This is an amazing book with applications for you no matter your life circumstances. The final book in the Anne of Green Gables series is a coming-of-age tale set during the anxious days of World War I. Anne's daughter Rilla is one of my favorite literary characters ever written. She grows from a dreamy young girl into a mature and strong woman whose heart beats for the needs of others. Every emotion is written in such a way that you feel you're on the journey, too. "Longings trump belongings any day." This heartwarming tale by Cynthia Ruchti is full of musings on identity and worth. Jayne Denagee is willing to do anything to distance herself from her family history. Her father has left a trail of mercy killings in his wake, only being caught when Jayne accidentally witnessed the murder of her terminally ill mother. Now that he's behind bars, Jayne has changed her name and moved halfway across the country in hopes of putting that part of her life behind her. Isaac Hughes dearly loves his mother, but the needs of her Alzheimer's require a full-time caretaker. 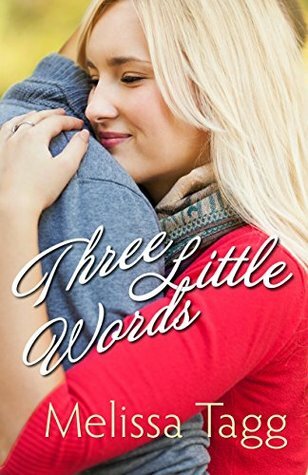 When young, beautiful, and secretive Becca Morrow comes into his life to sweep both him and his mother off their feet, Isaac couldn't be more grateful. Knowing he'll lose his mother soon, Isaac can't stop thinking about his biological mother and the circumstances behind his adoption. While his heart is full of gratitude for the upbringing Mr. and Mrs. Hughes gave him, something deep inside longs for a blood connection from his past. When something suspicious happens to Mrs. Hughes, Becca's past and her family identity comes to light and threatens to tear apart the world where she was beginning to find healing. 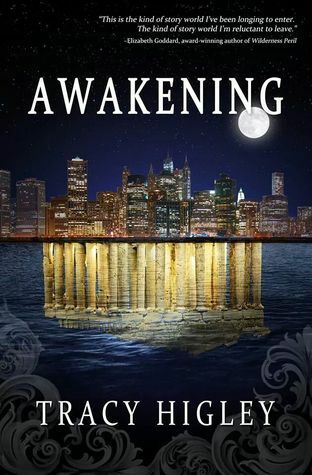 Becca's running from her past, and Isaac is trying to find his. Where will their hearts find a place to feel at home? This was a beautiful story. I felt very invested in the characters, so much that when I had to put the book down I would whisper, "Sorry, Becca and Isaac!" I wanted to see where the story would take them. My heart ached at the way Becca felt unworthy because of her family and the emotional abuse she'd suffered, and I longed for her to see herself the way Isaac saw her. Keeping secrets is usually both hard and dangerous. When the secrets of both their pasts are revealed, we get to see whether Isaac and Becca can be set free or remain bound by the choices of the people who gave them life. The choices of other people do affect us, but they do not have to define us. This is an issue that resonates with a lot of people, and I hope that they will connect with this novel and enjoy this journey with two remarkable characters. The idea of this book grabbed me right away. People make choices every day that impact the lives of other, whether positively or negatively. A lot of things happen so that innocent people are left dealing with pain and consequences that should never have been theirs. No one is immune to this. I hinted at some of my own struggles in this recent book review. 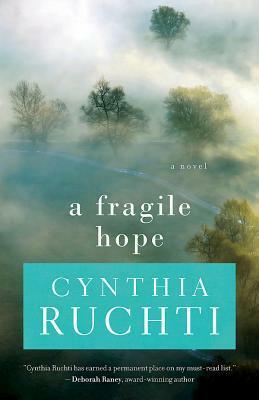 Cynthia Ruchti blesses the readers of this book with the Hope that can be found even in these dark circumstances. It might indeed be ragged, or even just a thread. But Hope is there. This book wasn't what I expected, but at the same time it was so much more. Each chapter is barely longer than a daily devotional, and conveys a personal story of someone facing the fallout of another's actions. Whether it is the grandparents raising grandkids because the parents removed themselves from the picture, the women whose lives are shattered by the addictions of their spouse, the adult who is still feeling inferior because their parents neglected them as children, the loved ones of those who have chosen to end their own lives, or many other scenarios presented, each story is heart-rending. 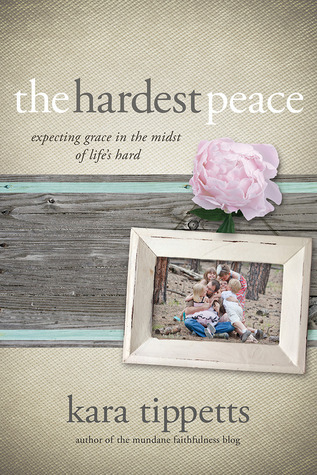 The author does an excellent job relaying genuine pain and grief in a few words, as well as sharing how those in each situation chose hope, forgiveness, and healing no matter how hard it was. The chapters close with a Reflections segment, giving the reader a chance to recognize in their own minds how the thoughts presented might fit into a situation they are facing today, and some important lines about how you can reach out to those who are in the specific circumstance detailed in that chapter. This book is an incredible personal resource for wise counsel, and one that church libraries would be smart to get onto their shelves. The more I read these pages, the more the gentle rain of hope soaked into my own heart. Dealing with fallout from other people's choices is terrifically difficult. But with God's help, may we like Biblical Joseph be able to say that others may have intended their actions for evil, but God "meant it unto good." I know God meant for me to read this book at this particular time. This is a subject I've been dealing with a lot recently. My sincerest thanks to LitFuse for providing me a copy for review. All opinions here are my own. 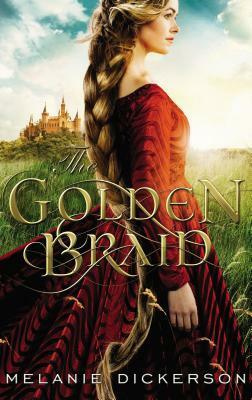 Enter below to a chance to read this book for yourself, chat with the author at a Facebook party (I plan on attending! ), and win a Visa gift card. May God bless all of us on our healing journeys. 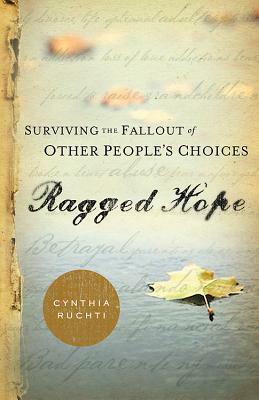 Cynthia Ruchti is celebrating the release of Ragged Hope: Surviving the Fallout of Other People’s Choices (Abingdon Press) with a $200 Visa Cash Card "Hope" Giveaway and Facebook Party!